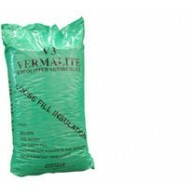 Vermiculite 8ltr Small Bag Often mixed with perlite to create a seed and clone raising growing medium. Vermiculite holds more water than other growing mediums and is unsuitable for Hydro-Pot Hydroponics on it's own. Vermiculite is also often added to soil.Perlite is a volcanic ro..
Vermiculite 100ltr Sack Often mixed with perlite to create a seed and clone raising growing medium. Vermiculite holds more water than other growing mediums and is unsuitable for Hydro-Pot Hydroponics on it's own. Vermiculite is also often added to soil.Perlite is a volcanic rock..